Thinking of reducing costs by introducing webchat? Make sure you read this article first! In 2016, our annual survey, entitled “What Contact Centres Are Doing Right Now”, we unveiled the notion that “webchats generally take twice as long as phone calls, but can take up to three customers” to be a myth. In fact, we discovered that the majority of contact centres that operate a webchat system only allowed advisors to handle two live chats at a time, as highlighted below. So, if the handle time for chats is twice as long as a call, but most contact centres are only operating with advisors answering two chats at a time, is webchat actually cheaper than a phone call? From the feedback of industry experts, we have deduced that running chats two at a time has a similar impact upon costs as a phone call, but some have found it marginally more expensive. By introducing webchat, you are likely to increase the demand for the contact centre. Peter Ianetta, Contact Centre and Customer Service Leader at Optus, notes that in his experience “when introducing chat as a channel, overall, customer contacts increase. As Peter states that customers will use the channel that offers them the best experience, it is worth remembering that the best experience is different from person to person. So, by offering webchat as a channel, the contact centre is opening up a new demographic, who before would have phoned only for urgent matters, would now use webchat for more general enquiries. This is particularly the case for millennials, who are more likely to use the platform than those of an older generation. Also, webchat offers customers more time to respond, as they can take more time to deliberate over additional questions to ask the advisor than they would over the phone. Taking this into account, the cost of webchats seems higher than a phone call, but there are ways to reduce live chat expenditure. The easy answer to reducing the costs of webchat is to simply allow advisors to handle three at a time, instead of two. However, the reason most contact centres stick to two webchats at one time is the impact that agents handling three chats has on customer satisfaction. This is according to Wayne Butterfield, Director of Cognitive Automation & Innovation at Information Services Group, who states: “I have always tried to stick to 2 but no more than 3 concurrent chats as I value each customer’s time, and I don’t want each individual chat to last any longer than it needs to. So, instead of assigning the number of webchats to contact centre team, why not empower advisors to request a third, if both the customers they are interacting with are taking a lot of time to respond. PhotoBox use this strategy in their contact centres and have found it successful in minimising queue time and empowering their team, by allowing advisors to take on more responsibility and boost productivity. Outsourcing has many benefits in maintaining a company’s growth goals, avoiding bottlenecks and lowering business costs, but many businesses are hesitant to outsource due to its reputation. However, much of the negative response to outsourcing surrounds the voice channel, with many people having difficulties in interpreting accents, leading to customer frustration. There still are issues with webchat, yet these are less immediately obvious. Whilst the system is not ideal in giving up leadership, quality assurance and checking compliance, it will be a significant factor in reducing costs. And, most likely, if you do this and keep voice contacts within the region that you operate in and outsource chats, webchat will be cheaper than a phone call. 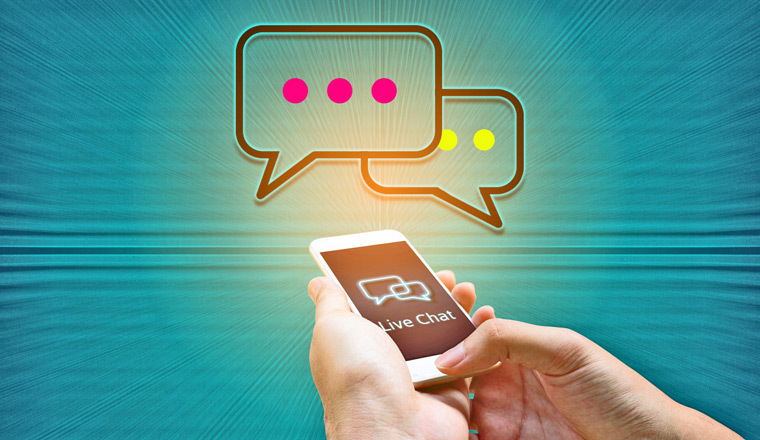 Whilst it has been established that customer satisfaction tends to drop when advisors take on more than two webchats at one time, there have been mixed reports about the general impact that webchat has on customer satisfaction and loyalty. In many contact centres, advisors undervalue webchat, with most deeming phone calls to be a more important means of customer contact. Tori Burns, another one of our readers, makes this point in stating that: “I did experience a ‘devaluing’ of the function from both client and agents who remained on the phone. 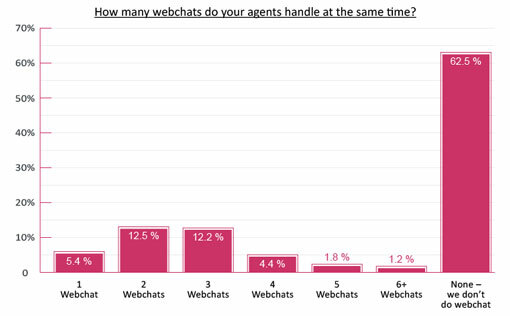 “The perception was the webchat advisors were ‘slacking off’ to some extent, and that typing a response to a typical phone question was somehow less work than speaking it. In the piece “How to Improve Your Emotional Connection with Customers”, we discussed how a customer’s emotions when dealing with a company have a greater bearing on satisfaction and loyalty than effort and success. 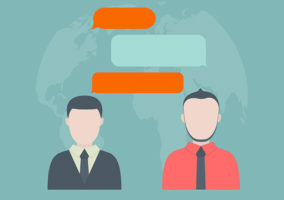 But it is harder to create an emotional connection with a customer over webchat, as many of the techniques we encourage you to use to build rapport are not viable on non-voice channels. This includes techniques such as smiling whilst communicating, mirroring the customer’s tone and active listening. So, it makes sense that satisfaction is lower on webchat, but having the option of providing customers with another mode of communication will likely improve satisfaction across all channels. From our research and the feedback from our readers, we have established that in most UK contact centres, webchat is not cheaper than a phone call, but it does have the potential to be. 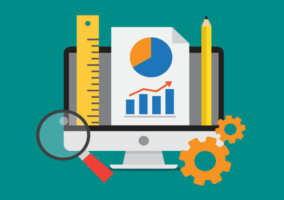 However, most of the ways to minimise the cost of webchat, such as forcing advisors to take on more concurrent chats or outsourcing the channel, will have an impact on customer satisfaction. So, it is advisable to empower advisors to take on more chats, if they feel they can do so. Whilst this may not have as big an impact as the two methods noted above, it could slightly tip the finely balanced scales, so that webchats are indeed cheaper than a phone call. Do you agree with our conclusion? Or has your contact centre proved otherwise? Please leave your responses, and any other thoughts that you may have, in an email to Call Centre Helper. Agreed. Branding also plays a big part too. Premier CX are conducting a webinar today at 11 to talk about ISPs and their CX. It looks at livechat as a touchpoint and the importance of continuity accross channels.